Tucked in on the south end of Main Street, along the river bank, in historic downtown Napa is the French Country restaurant and bar Angèle. On a previous trip I ate lunch there and on this trip I had occasion to eat there twice. I would describe Angèle as a cross between French bistro and a French brasserie restaurant: offering the typical French Country homey bistro fare. The dishes are substantial in flavor and presentation; the French/English menu is appealing. 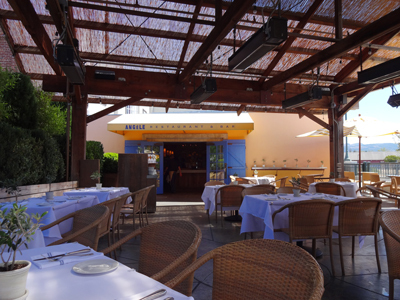 Professional service is provided in Angèle’s dining room and on their shaded patio area. 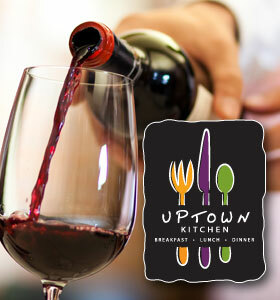 In both areas you dine in a relaxed cozy upscale setting. On Monday and Thursday of my trip I had lunch at Angèle and on both occasions the weather was simply stunning. Just picture this. The sun is shining, there is a light breeze and the temperature is in the mid to lower 70s: A perfect day to eat out on the patio. 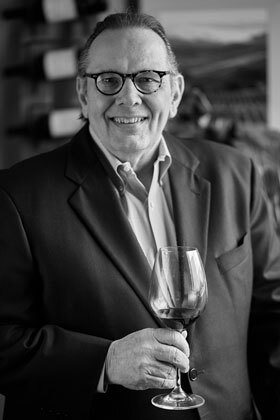 On Monday I enjoyed lunch with Brian and Lori Nuss of Vinoce Vineyards. Brian and I make my Glenwood Cellars wines together. For lunch we shared the oysters on the half shell paired with Brian’s Vinoce Sauvignon Blanc. I continued with the classic hamburger with French fries and, of course, more wine. 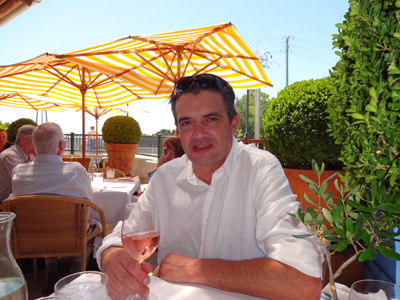 On Thursday I had lunch with my friend Didier Loustau and we again had the same amazing weather. We availed ourselves of the shaded patio for our setting. 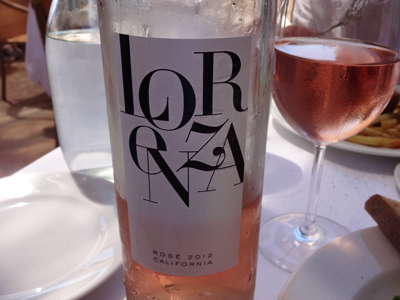 Our lunch wine was a bottle of Lorenza 2012 California Rosé. The wine came slightly chilled, had a light salmon color and offered a nose of fresh roses and citrus. It was a good wine and I recommend it. The taste matched the day and the lunch fare perfectly with a light taste of citrus and berries. The finish was crisp and dry. I lunched on the pâté de campagne on toasted country bread (or country pâté) with violet mustard and red shallot confit while sharing the gratin de macaroni with Didier. 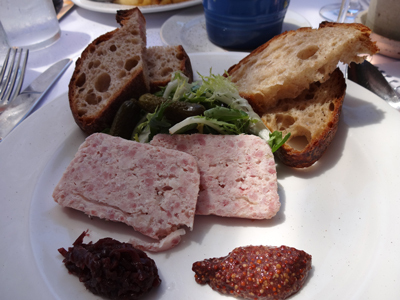 On both lunch occasions the setting of good friends, good wine, great weather and the combination of the warm, friendly service and tasty bistro fare of Angèle made this a very enjoyable and pleasant dining experience. I would highly recommend you share this experience on your next trip to Napa by trying Angèle Restaurant and Bar. 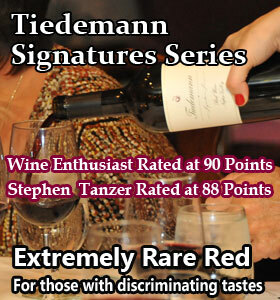 If you do, please share your experiences with TiedemannOnWines.com subscribers. Angèle is solid! Price is right, great selection and great service…Thanks for lunch Carl.